In a parallel universe, Marvel fans might still be happily looking forward to the planned release of Guardians of the Galaxy Vol. 3 from James Gunn (writer/director of the first two films). Unfortunately, Gunn was recently fired from the upcoming Vol. 3 thanks to some controversial jokes he tweeted in the years before he joined Marvel Studios. This brings the question of what will become of Guardians of the Galaxy Vol. 3. if Marvel’s rumored efforts to get Gunn rehired don’t pan out. Guardians of the Galaxy Vol. 3 already has a completed script draft from Gunn, and Dave Bautista (who plays Drax) has said that he will leave the film if they don’t use Gunn’s script, but the continuing silence from the rest of the cast on that matter suggests that they will fall into line and do the film regardless. 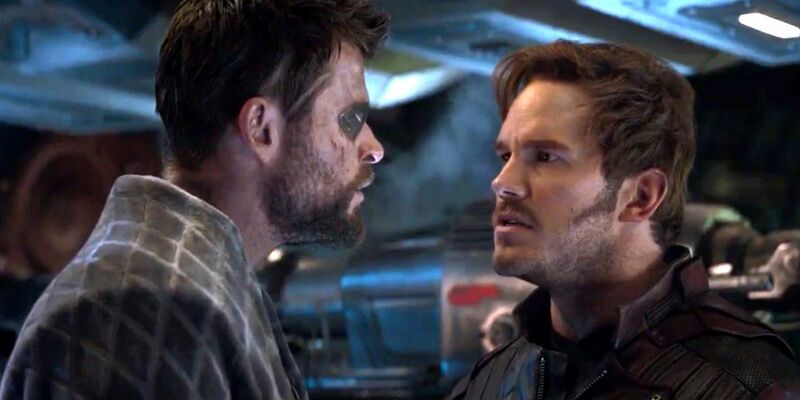 What’s painfully clear is that, if Gunn isn’t rehired, Disney and Marvel Studios will lose whatever substance Gunn would’ve brought as the captain of the ship; his desire to wrap up his characters’ respective story arcs like a true trilogy, and additional plans to introduce new characters to the cosmic side of the MCU such as Adam Warlock (although that character may not have debuted in Vol. 3). Any incoming director who attempts to adapt the existing Vol. 3 script will face scrutiny, skepticism and criticism; a hard sell for any filmmaker. Considering Thor’s successful, hilarious and heartfelt introduction to the Guardians in Avengers: Infinity War, and the success of his own third solo entry, Thor: Ragnarok, an effective fix might be to merge Vol. 3 with whatever shape the so-far unannounced Thor 4 takes. This kind of drama will be attached to the Guardians franchise for as long as it lives; after all, fans and industry spectators continue to mention Edgar Wright’s name in the same breath as Ant-Man. Even in the age of the 24-hour news cycle, fans will continuously be reminded of “the film that could have been,” and the reasons why it doesn’t exist- especially if a Gunn-less Vol. 3 turns out to be a bad movie. Just look at the ongoing demands for the “Snyder Cut” of Justice League. Legally, Gunn’s name will also be hard to remove from the final product. As per the Writers’ Guild of America’s rules, a soft rewrite might not even cut the mustard; it would have to be virtually a 100% different plot in order to strike his name from the credits entirely. Disney could decide to show some appreciation for the creative process and allow Gunn to retain some credit, as he is due. It might be best for the company to lean into keeping at least some of his stamp on the finished work, showing solidarity for the years of his life he’s already given the company and its IP. 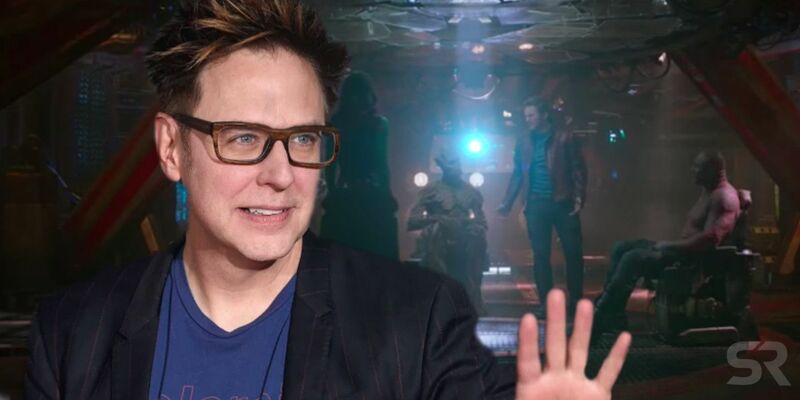 Conflicting reports suggest that either Disney will throw out James Gunn’s script, or keep it. The latter would most certainly the right choice, if the movie went ahead. Gunn is so inextricably tied to the characters that he’s helped shepherd to the big screen that it would be folly to remove his completed script for Vol. 3 entirely. With Vol. 2 he gave the characters so much progress (and in some cases, closure), that it seems safe to assume that he had something special planned for the third entry. 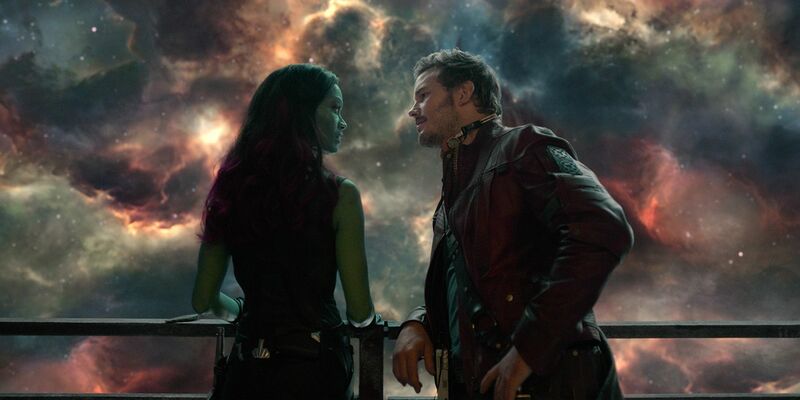 With Star-Lord and Gamora’s burgeoning relationship, Rocket’s slowly-easing self-loathing, and Drax’s acceptance of a new family after losing his own – not to mention Quill’s resolution to his daddy issues – it’s easy to imagine how Gunn’s third film could have fully cemented the Guardians as a fully-functioning team and surrogate family. They’d obviously always be the bickering a-holes they always are, but they’d most likely finally be secure in their team dynamic – and James Gunn would be the only man fit to carry that sentiment home. As Joss Whedon put it when speaking about the Avengers, they’re the definition of family: “People who have no business being together, but they are thrust together and need to make the best of it.” It’s a team dynamic that clearly works, and Gunn knows that as well as Whedon does. To throw out everything Gunn has planned for these characters, after being so devoted to them for the last six years, would be a mistake. But by adapting the Guardians 3 script into an adventure that includes their new buddy Thor, there could be a future for the team without Gunn. Whilw it would be a joy to see James Gunn’s personal take on his Guardians going into Vol. 3 and the closing point of their trilogy, Vol. 2 was actually a fairly solid conclusion for the character arcs established in the first Guardians of the Galaxy. Rocket was put at ease with his self-hatred through his interactions with Yondu, Quill and Gamora were heading towards an actual relationship (which we saw come to fruition in Avengers: Infinity War), Groot was barrelling towards adolescence, and Drax found a kindred spirit in Mantis. Even Nebula was welcomed into the fold – her backstabbing-murderess past more or less forgiven. Audiences saw all these relationships cemented into place in Infinity War, (although that movie ended with everybody but Rocket and Nebula being turned to dust). Clearly, the Guardians are fated to return to life, considering Vol. 3 is one of the few MCU movies that we definitely know was being planned for Phase 4, and filming on Avengers 4 concluded before the controversy over Gunn’s old tweets. Vol. 3 likely sees the team fully-functioning with their inner turmoil largely put to rest, and for that reason its plot would easily be integrated with that of Thor 4. The Guardians’ space setting was such a natural meeting place for the MCU’s other well-known cosmic adventurer. 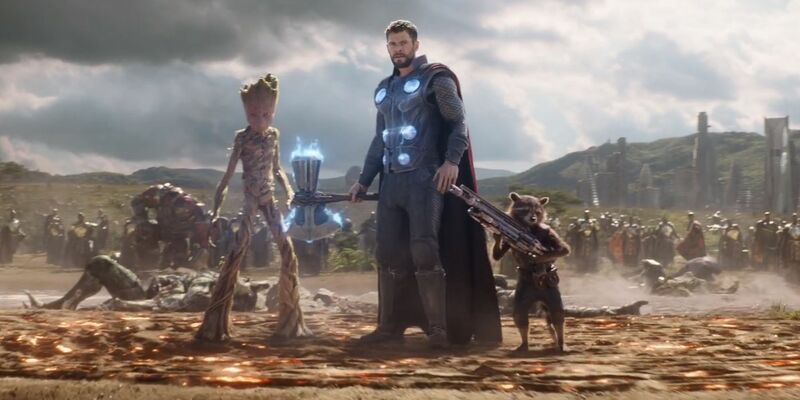 Thor, having been found drifting in space by the Guardians after his Asgard refugee ship was decimated by Thanos and his Black Order, and actually served to splinter the crew to an extent (taking Rocket and Groot with him to Nidavellir in his quest for a new hammer). But the chemistry between the characters was clear, and some of the best moments in Infinity War – a movie crowded with memorable moments – come from Thor’s hilarious tension with Star-Lord and growing friendship with Rocket & Groot. Thor’s role in Infinity War was also a natural lead-in point from his cosmic adventures on Sakaar in Thor: Ragnarok. Audiences were already comfortable seeing Thor interact with wild and wacky characters like Valkyrie, the Grandmaster and Korg, so seeing him interact with the Guardians of the Galaxy was a small ask of the audience, further strengthening the disparate ties of the MCU. Whatever shape Thor 4 takes, it can be assumed that Marvel and Disney will be chasing a similar box office performance to Ragnarok, which grossed $854 million worldwide. It makes sense to try and recreate the same recipe that made the third Thor movie such a success: Hemsworth’s strong comedic chops, an ’80s-inspired soundtrack and aesthetic, and Taiki Waititi’s sensibilities as a director. After the first two Thor solo movies saw somewhat mixed success, Waititi is certainly to thank for the critical, creative and commercial success of Thor: Ragnarok, and a lot of what he did with Thor’s character has synergy with Gunn’s take on the Guardians. 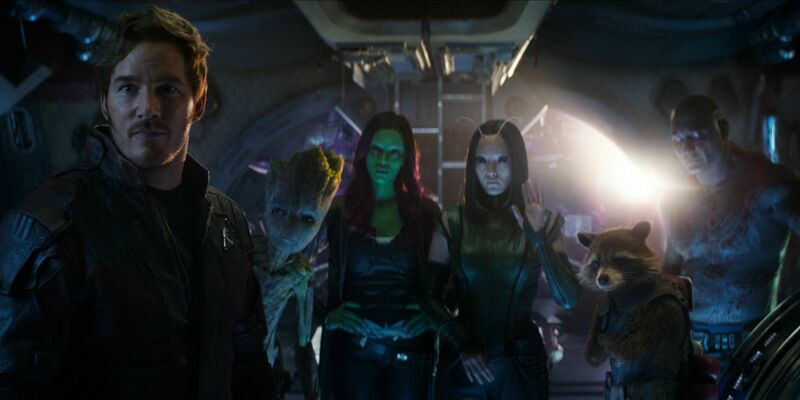 The subversive humor, alongside subtle pathos and character growth, had many fans making apt comparisons between Guardians of the Galaxy and Thor: Ragnarok. Considering Waititi finally steered Thor into a formula that works for Marvel, Feige and co. are most likely trying to keep him around for whatever Phase 4 plans they have for Thor – whether they involve Chris Hemsworth or not. Even though Hemsworth’s contract expires after Avengers 4, he appears to be having more fun playing Thor than ever. It wouldn’t be a surprise if he chose to stick around for one more film, supposing that Waititi also decides to return; apparently all it could take is a great script (which Waititi would surely deliver). Combining Gunn’s Guardians script with whatever Marvel’s plans for Thor 4 are feels like a no-brainer. 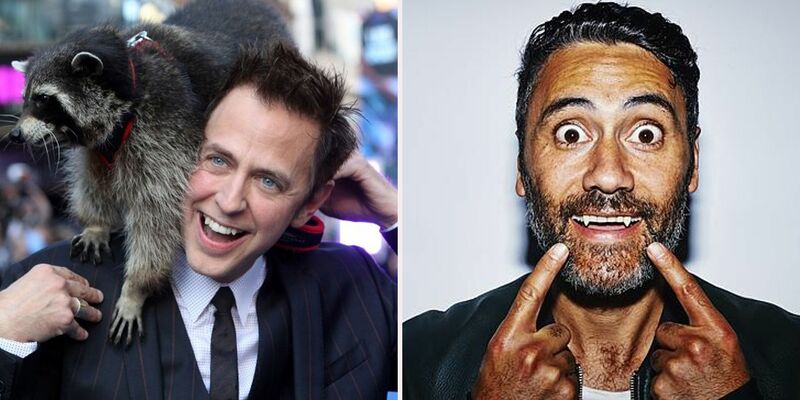 Disney & Marvel can retain their integrity by giving James Gunn credit for his continued work on the franchise that he turned into one of the MCU’s greatest hits; the Guardians – having arguably peaked within their own self-contained story – can continue to evolve by being tied to Thor, whose personal arc is ongoing; and Taika Waititi, should he continue to stay at the helm of the Thor franchise, can blend the style of the Guardians movies and his own Thor film into one single cohesive ongoing chapter. If simply rehiring Gunn is off the table, this might be the next best option for making the best of a bad situation.